If this story cycle doesn't win some big award in the coming year, then something is wrong with this world. August 29, 2015 marks the ten-year anniversary of Katrina, and Aftermath Lounge is a masterpiece. I am awed by the stunning talent McMullan exacts in these overlapping stories of post-Katrina lives. Characters and artifacts from one story resurface in another, not unlike personal effects from one gutted house washing up onto the wreckage of another. Recurring themes of maternal abandonment, marital strife, classism, depression and addiction bob like so many buoys out in the Gulf, forming a strange dot-to-dot that somehow spells strength. McMullan's gift for selective detail allows readers to see, smell, taste and feel the aftermath of Katrina -- tragedy and heartbreak parsed out in sad daily doses, like a slow-drip I.V. of a slow-acting poison. But miraculously, these are also tales of endurance, hope and solidarity. There they all were, together at last at the Golden Moon -- Christians, Jews, Choctaws, blacks, whites, washed, unwashed, sinners and saved, rich, poor, skinny and fat, all here amidst the Hot Dollars and Moon Shadow Slots looking for Rapid Redemptions and something to eat. McMullan examines the love it would require to take a dead friend's infant as your own, or the resilience to sift through the wreckage of your life, finding nothing salvageable. Norma sipped from her glass. The sweet iced tea made her think of God and the coast. She bent down and kissed the top of Charlie's head. His hair smelled of everything. These are stories about what happens when the winds die down and the water returns to the sea. The departures of characters (who, by force of the storm, are either gone as in dead, or gone as in displaced/absent/vacant), leave gaping holes in families -- holes that shrink as they are slowly mended by someone else, who, it just so happens, needed that baby or that young boy, needed to rescue that bikinied girl from a dog attack, needed to be needed, needed maybe a violin duet or a knock-knock joke. People come to each other's aid in the most graceful ways. Resilience, stamina, faith and belief, prevail in these stories, against all odds. McMullan gives us this one repeated idea of strength, through the dialogue of two different characters. First it's Catch who says it, referencing a swing he's installed in a tree. When asked by Mrs. Zimmer if the branch is secure, Catch responds: "Oh, it'll hold." And later, in "Insurance," it's Teddy, who reinforces this notion of strength. When asked by his grandfather about the fate of the baby squirrel the Choctaw girl has adopted, Teddy asserts, "Oh, it'll live." It'll hold. It'll live. It's the sturdiness of this belief, running through all these characters, that makes a book about devastation uplifting. Which is not to say one of these tales won't break your heart. "Place Value" broke mine. As a southerner myself, I recognize and love these characters. Character names like "Catch," and story titles like "What I Want To Know Is When Did Barbara McIntosh Get To Be So Jealous?" capture a blurry, humid polaroid of the Gulf Coast that is as endearing as it is true. 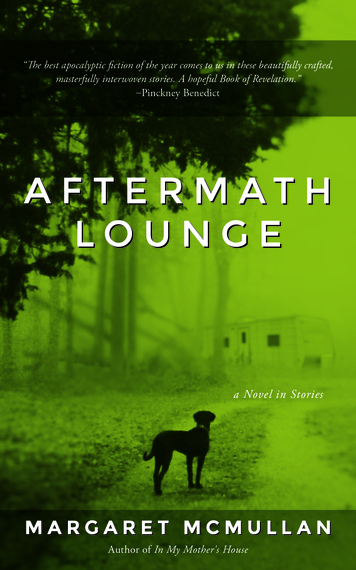 Aftermath Lounge is pure brilliance. 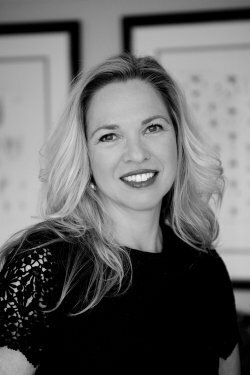 Margaret McMullan is the author of six award-winning novels and editor of the new anthology, Every Father's Daughter. She taught for 25 years at University of Evansville, in Indiana, where she recently held the Melvin Peterson Endowed Chair in Literature and Writing.